Check out my second card for the new release Blog Blitz on the Poppystamps blog! Today I'm featuring the fun Jumbled Happy Birthday die. 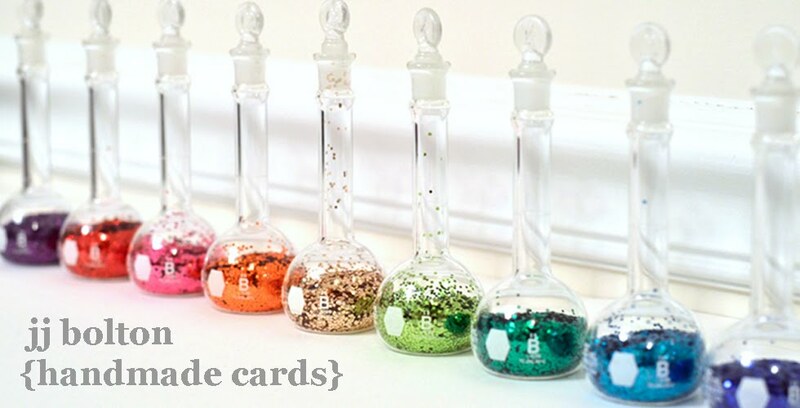 While you're visiting the Poppystamps Blog Blitz, don't forget to leave some comments! For every comment you leave, you have a chance to win one of the new release products! There are 2 release products highlighted every day of the blitz, so there are lots of chances to win! These word dies and stamps make it so much easier to line up without having to be perfectly straight. Your monkeys are cute! Such a fun card, JJ! 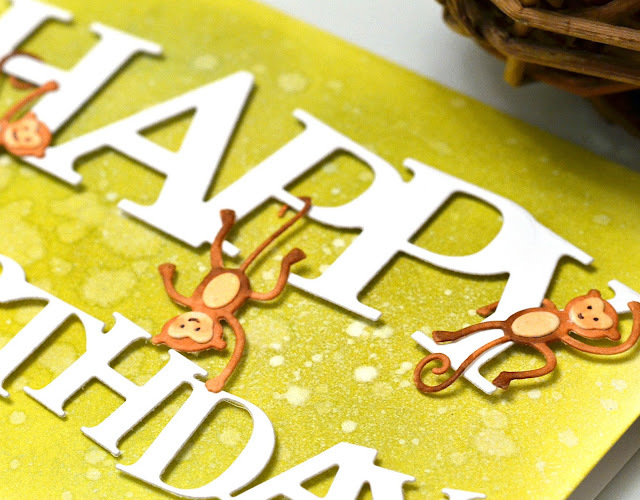 Your background is amazing, and I love how you paired your die cut sentiment with these adorable monkeys! So CUTE!! !